If you are shopping the popular compact crossover SUV segment, then you have got to see the 2019 Toyota RAV4 here at Carl Hogan Toyota in Columbus, Mississippi. As a top-selling SUV, the RAV4 offers not only an affordable price but also an impressive list of standard features, including safety technologies like Toyota Safety Sense™. Starkville and West Point area car and SUV shoppers can tour the 2019 Toyota RAV4 at our new and used car dealership today! Our complete collection of 2019 RAV4 compact SUVs are available to you here on our website, where you can compare trim levels and features before you stop by our dealership for a test drive. We invite you to visit our Columbus, MS dealership, where our Toyota sales staff will give you a tour of the 2019 RAV4 and all of its driver-assistive features. The 2019 Toyota RAV4 SUV is a force to be reckoned with, what with its 2.5-liter Dynamic Force engine that boasts dual injection and dual variable valve timing with intelligence, plus this is an SUV you can feel good about driving, as it features an Ultra Low Emission Vehicle rating. Secure a new car that offers Sport, ECO and Normal drive modes, as well as Active Cornering Assist, trade up to a RAV4 with help from our interactive Carl Hogan Toyota website. Drivers in nearby Starkville, MS can value their trade-in online to see if now is the time to upgrade. Our Toyota sales department is standing by, ready to go over your car's value and the 2019 Toyota RAV4 SUV trim models that complement your new car search. 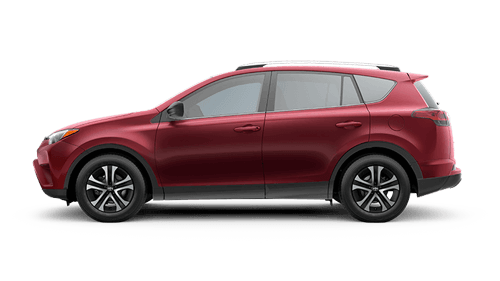 Team up with our auto dealership if you're a driver in nearby West Point, MS who is looking to secure an affordable, intuitively designed 2019 RAV4!